One of the few tennis sneakers to grab the attention of the casual crowd in recent years is now available in one of its hottest colorways yet. One of the few tennis sneakers to grab the attention of the casual crowd in recent years is now available in one of its hottest colorways yet, with the Nike Zoom Vapor 9 tour in this 'Volt/Black-White' colorway. The Tinker Hatfield designed shoe for Roger Federer features a mesh and synthetic lightweight upper with a bright tennis ball-like Volt and white upper with accents of black for the Swoosh and Zoom Air cushioned midsole. 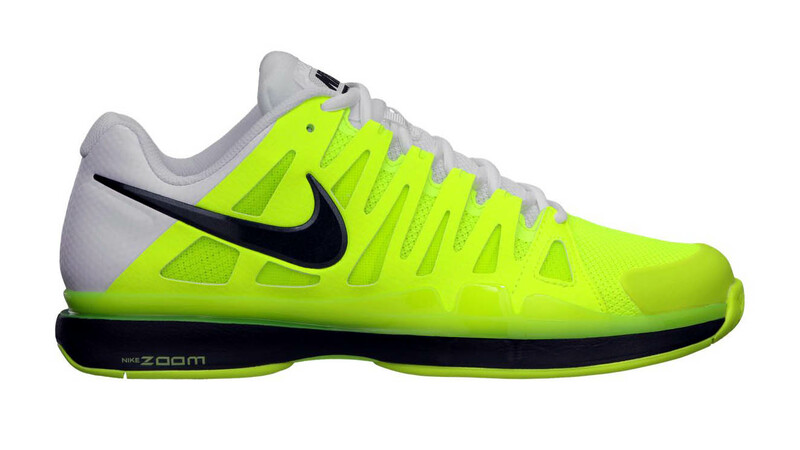 You can pick up the 'Volt/Black-White' Zoom Vapor 9 Tour now from select Nike Tennis retailers as well as online directly from Nike Store.